He says as TVs got slimmer, manufacturers had challenges with sound quality. 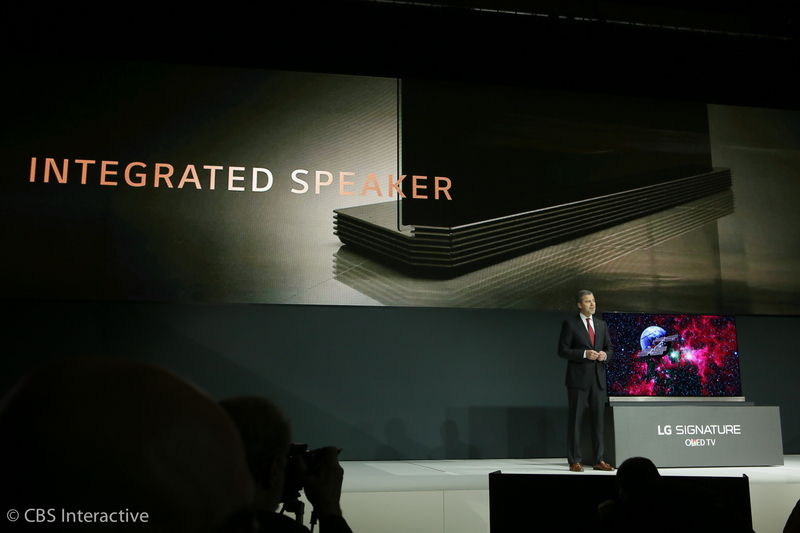 That's why the new stand is here--it's the speaker and "extra woofers." The system can also fold behind the glass for a wall mount, in case you're wondering. They're not any brighter than last year, however. So judging from the specs so far, they haven't done much to improve the picture from last year to this one. 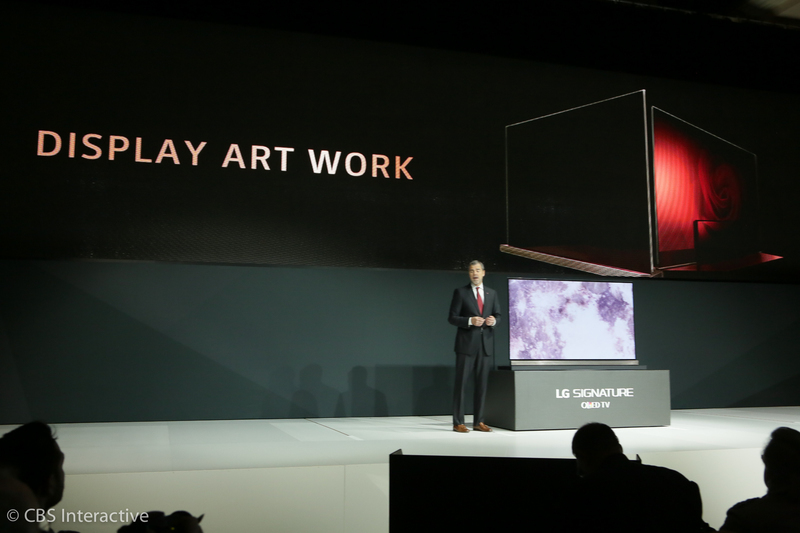 The TV can also display artwork on or off, he says. 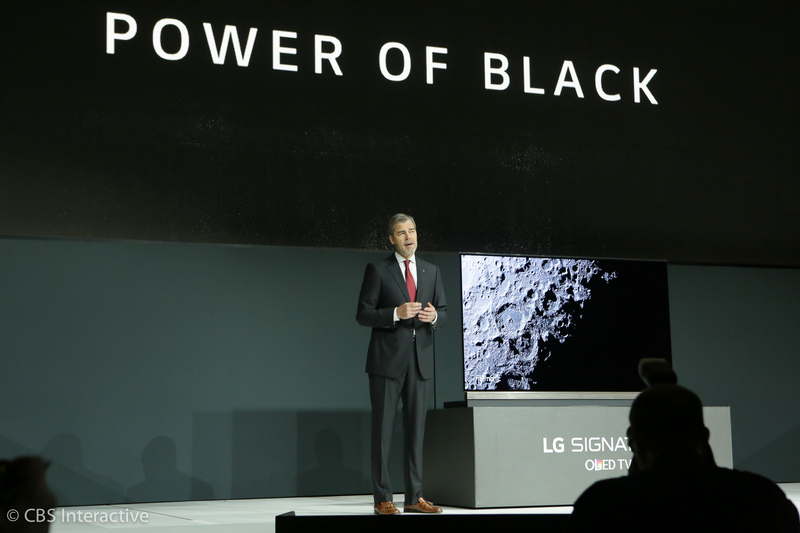 One thing: When I visited LG's engineers in Korea, they told me that the new sets suffer less from the dark field uniformity artifacts seen on the 2015 models. We'll see. If you're gonna send a camera into space, it might as well capture in high res and HDR. 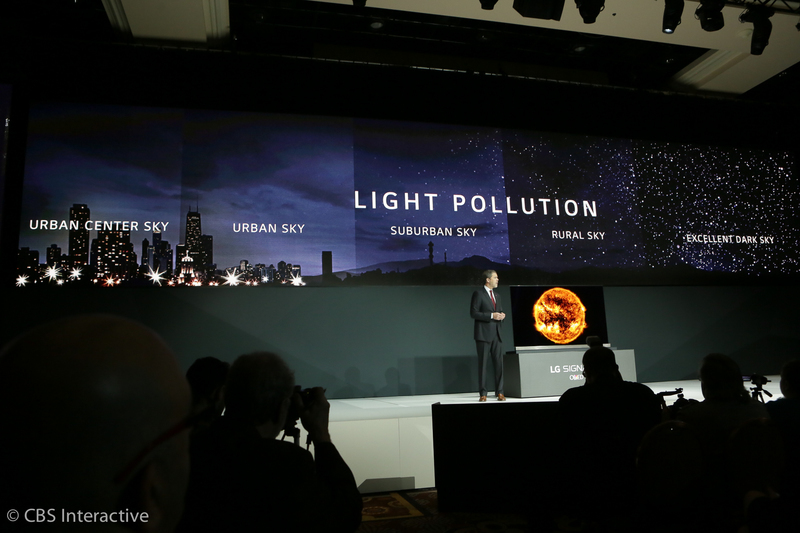 Now he's talking about why OLED is important -- he talks about dark colors. 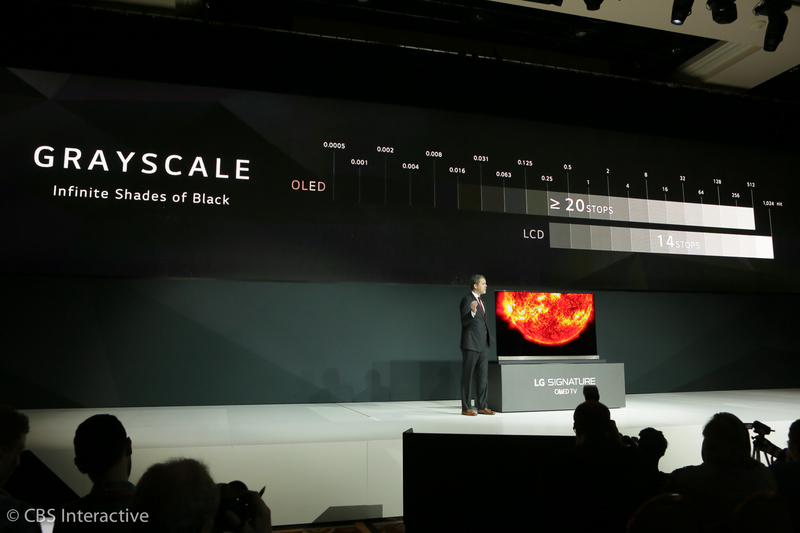 "OLED is able to express the deepest black," he says. 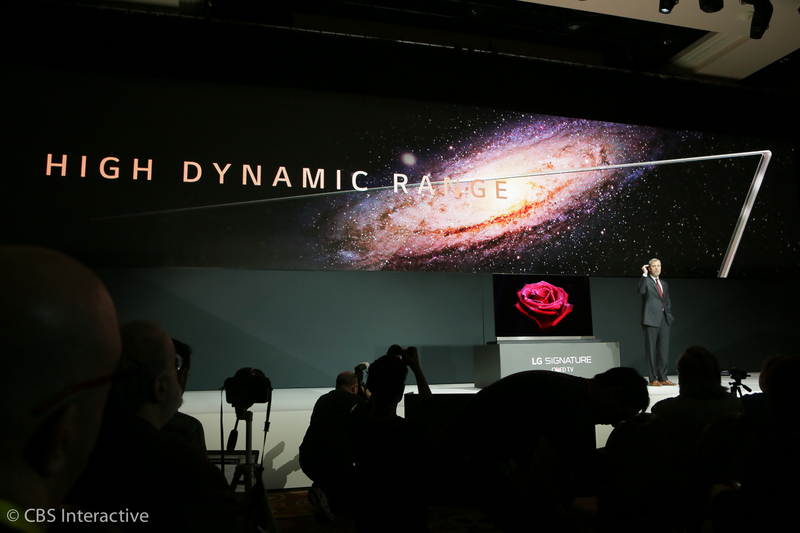 Now he's got an expert from Harmonic, a partner for NASA's LG Channel (so, a marketing partner) saying it's great. Always good to see when marketing partners are willing to make the bold statement that they like a product. 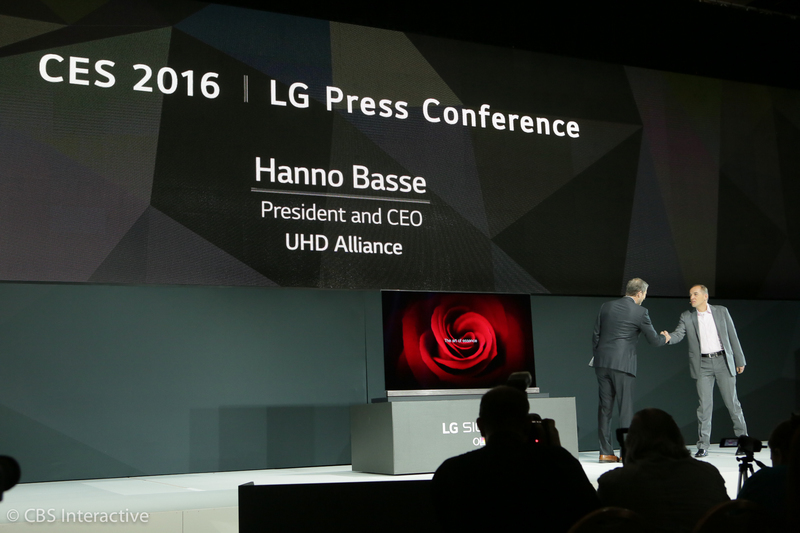 Now Hanno Basse, president of the UHD Alliance, is on stage. 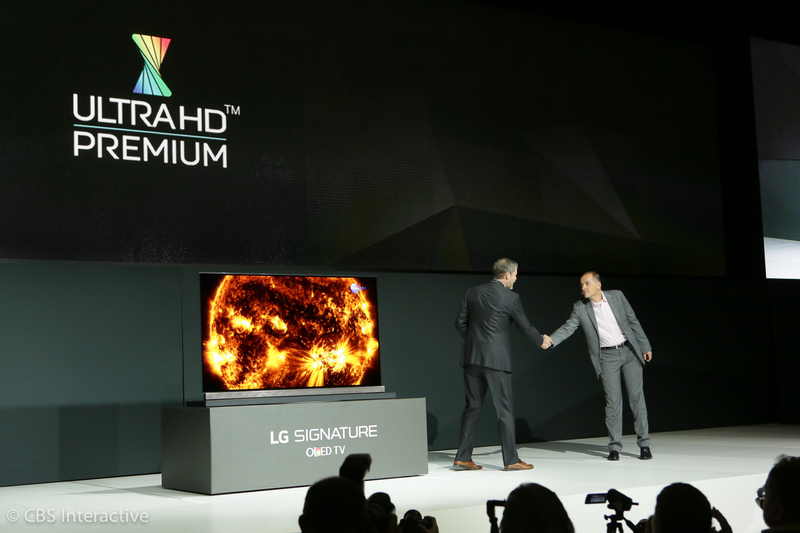 It's a group that "promotes Ultra-HD" and includes companies like LG Electronics. 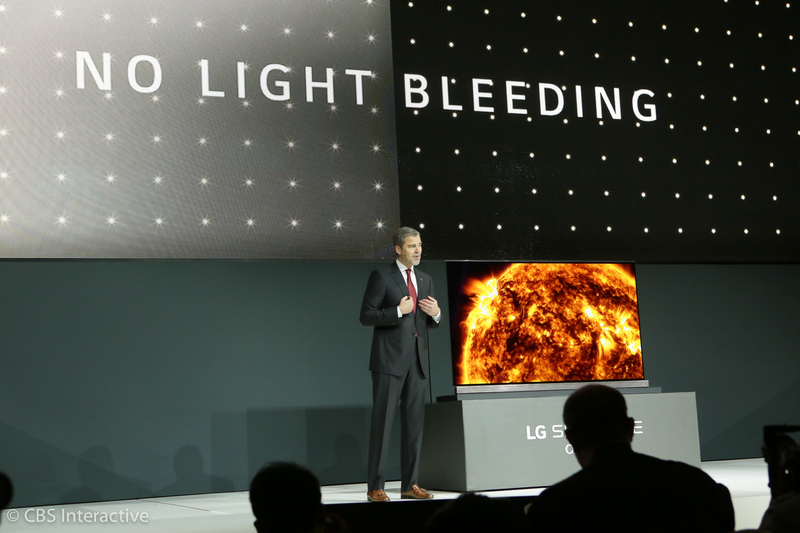 LG's HDR pitch is that its deep blacks are more important than the brighter highlights achievable by LED LCDs from companies like Samsung. In my tests so far, OLED does look better than LED LCD with HDR. 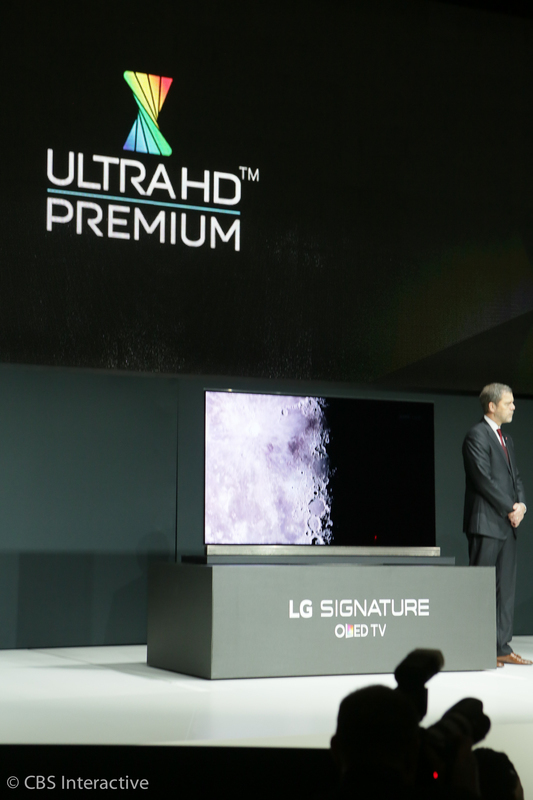 This means that there's a new "ULTRA HD | PREMIUM" logo. The UHD alliance and the "Premium" cert is basically a way for more expensive sets to differentiate themselves (justify charging more money for). Most of the high-end sets in 2016 will get it. 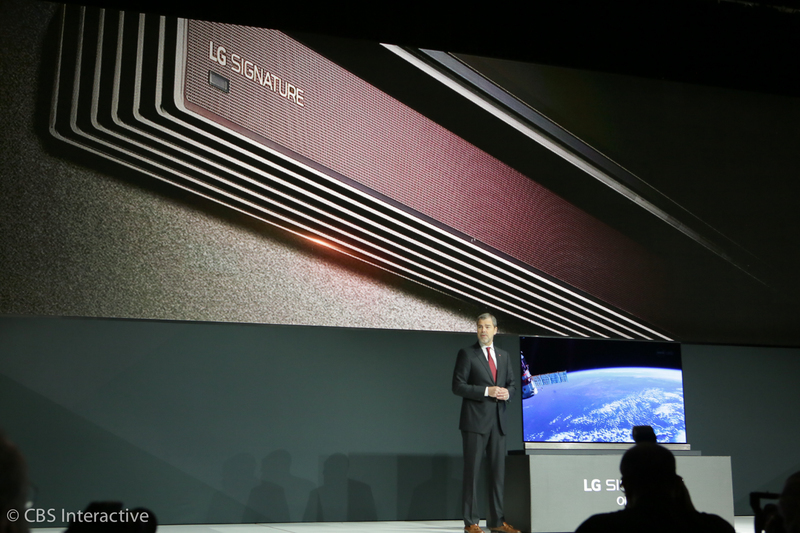 And the point: The new LG Signature TV is "UHDA certified." Now, he's going into the debate about OLED and HDR. Going through a lot of trouble not to say the word "Samsung." Here's the OLED HDR pitch I mentioned. It's mostly accurate in my experience. 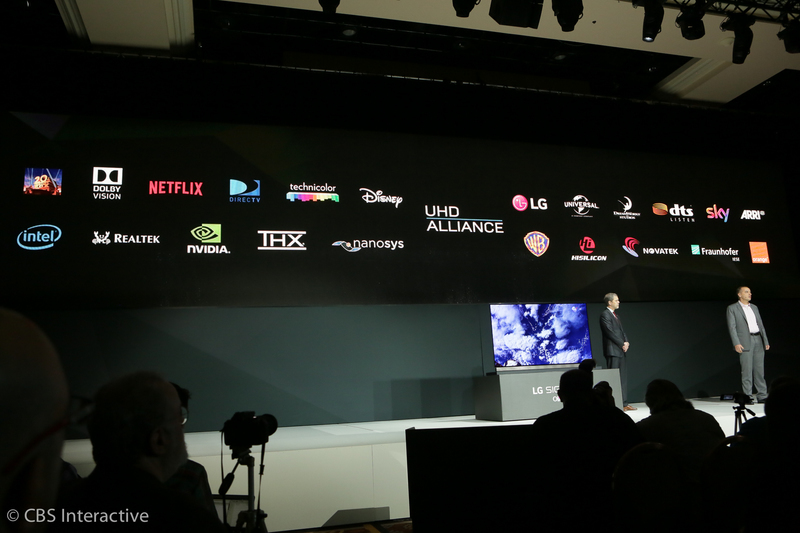 Now Giles Baker, SVP of Dolby Labs, is on stage. So if you just bought a $6K 2015 OLED TV and are wondering whether it's software upgrade-able to support Dolby Vision in the future, it's not. Note that few (if any) capture devices can record that many stops of brightness. He's talking about how excited Dolby is to be a part of this launch. Talking about how Dolby Vision is involved. 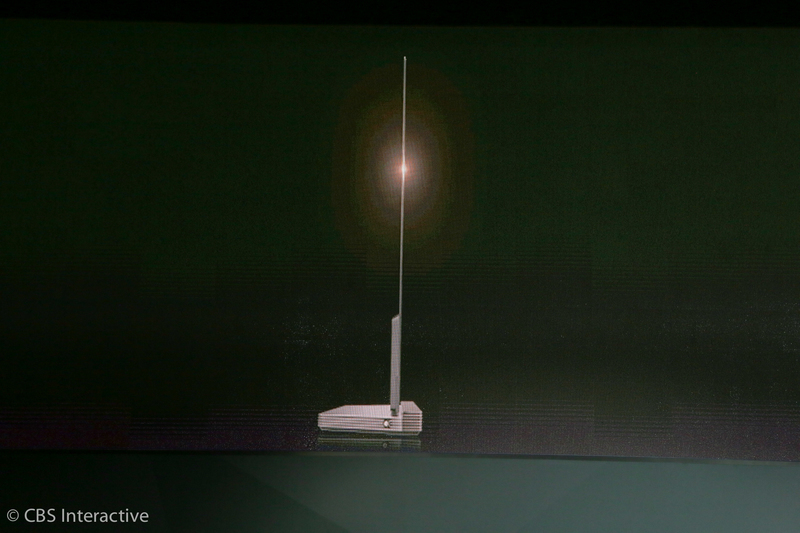 It includes HDR technology. 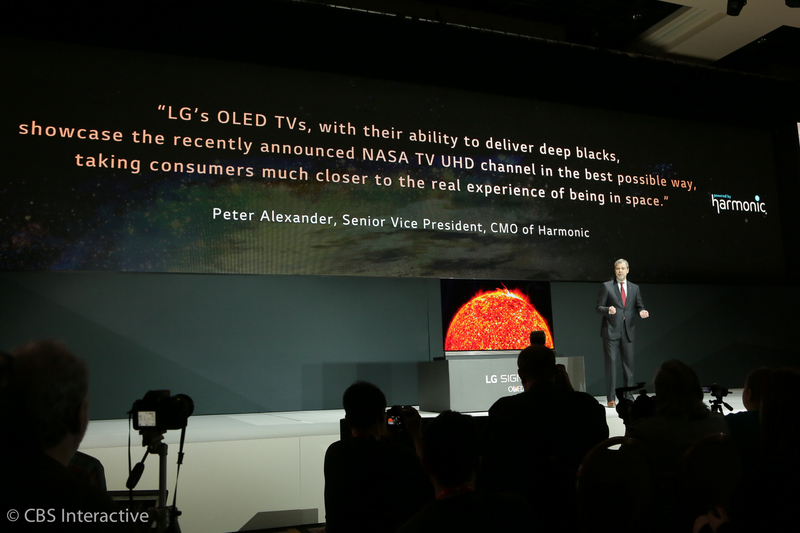 He calls them "OLED Super HD U-HD TVs" -- that's just rolls right off the tongue, doesn't it? The good news for current OLED owners is that there's no guarantee Dolby Vision content will be prevalent in the next few years. It competes against HDR 10 content, which is more common so far. Dolby's Baker is talking about how stuff like bonfires, London buses and space will feel more real. "More vivid and lifelike," he says. 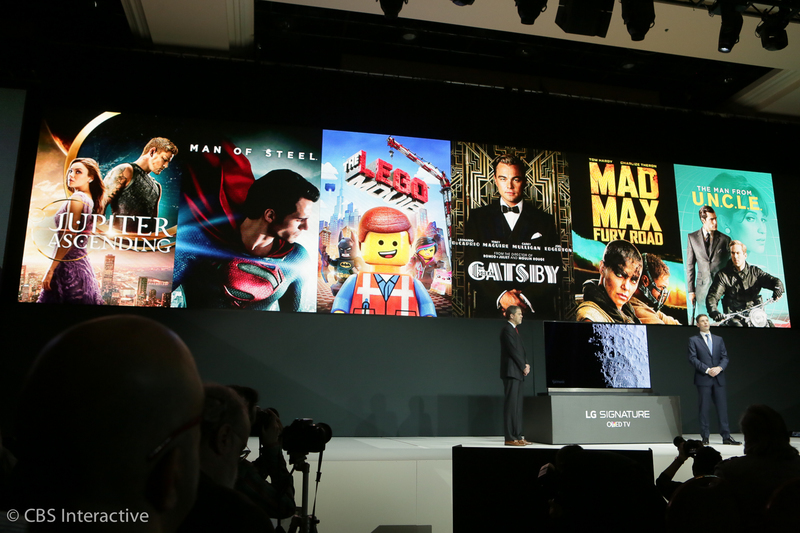 Now he's reminding us Dolby Vision was used in "Inside Out," "The Lego Movie" and "Star Wars VII." This has suddenly become a press conference for Dolby Vision. 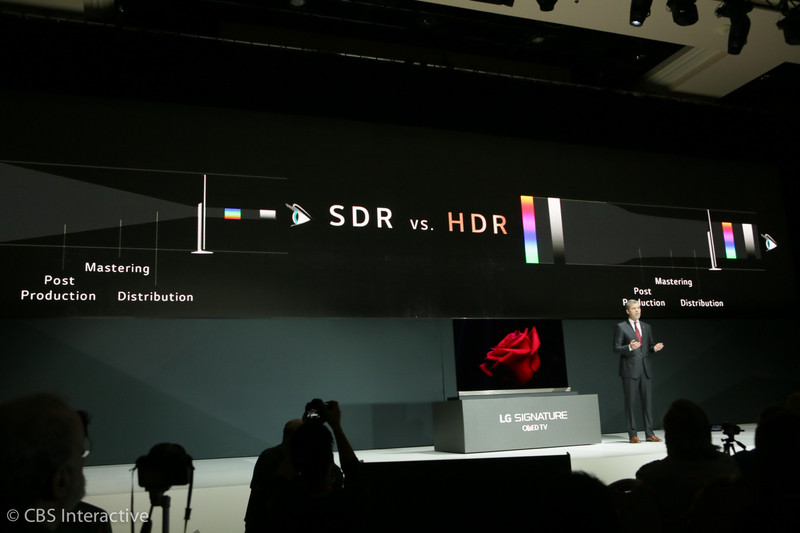 And in case you're wondering, no word on whether Samsung's 2016 HDR sets will support Dolby Vision. Oh, back to LG. 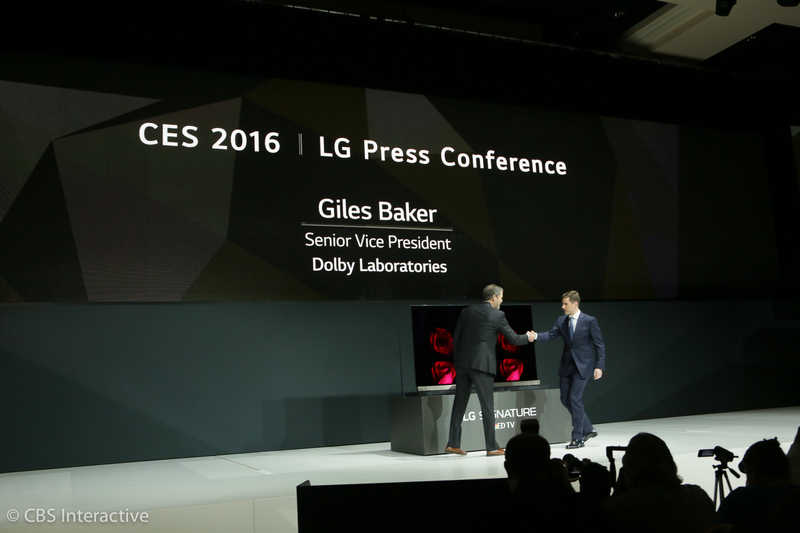 Baker says he's excited to include Dolby Vision in LG's "OLED Super HD U-HD TVs." 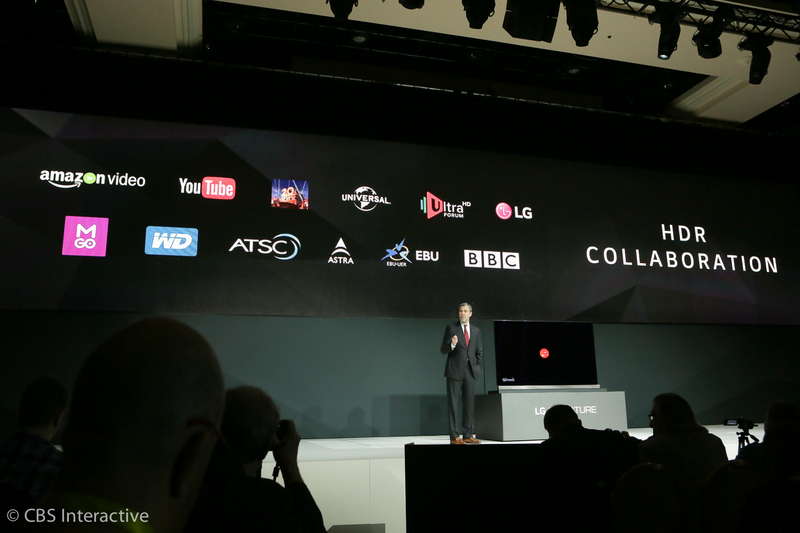 Back to LG -- talking about content partners like Amazon Video, YouTube, etc. 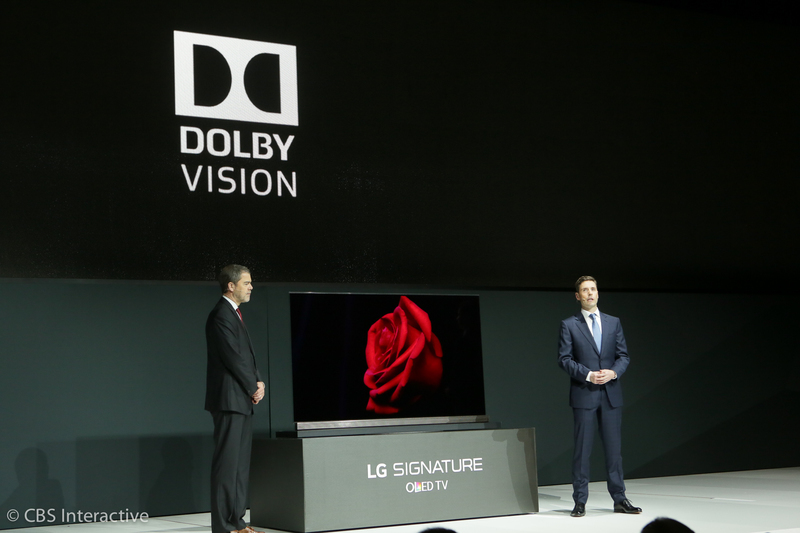 Yes, Ian, I think LG sees Dolby Vision as a big differentiator between its 2016 TVs and Samsung's. I'm wondering what Samsung's response will be. It seems a big disadvantage if their TVs won't get the highest-quality version of Star Wars. He name-checks WebOS and now back to the size and specs.